There are several choices for contractors on Cape Cod. At York Construction, we’ve distinguished ourselves with precision craftsmanship by a team of highly skilled, local talent offering timely service, competitive rates and a reputation for always putting our customer first. We can provide virtually any type of custom building and construction project. We will guide you through every phase of the construction process; from surveying, engineering and permitting to design, building and landscape. Our customers rely on us to custom build the biggest investment of their lives. Surprisingly, many of our customers find new home construction very affordable. Many times the mortgage is lower than a comparable home’s monthly rent. We promise to custom design your home to suit your personal lifestyle and it will be constructed with only the highest quality products and craftsmanship. Not many of life’s experiences can match the anticipation and satisfaction that accompanies custom building a brand new home. 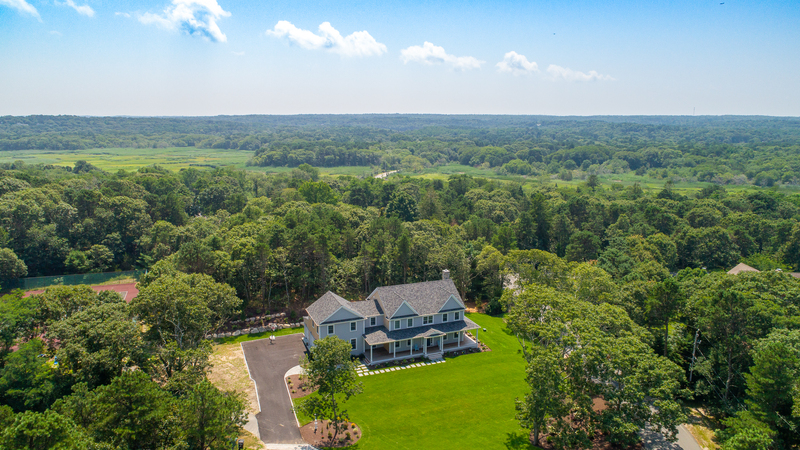 When this 3rd generation Cape Cod family approached us to build theirs, they told us they’d been planning it for 15 years. It was finally time to begin the process and after serious due diligence York Construction was granted the opportunity to lead the way. Working closely with owner, Matt York, the home site and floor plan was selected, the designs were finalized and the construction process began. First came the foundation, framing, roofing, siding and shingles. Then came insulation, windows and doors. Next were flooring, trim,carpet, tile and paint. Last came cabinetry, granite, fixtures and very shiny appliances. Before we knew it, it was move-in day and one family’s reality came true, for what will be many generations to come! Our goal is to ensure the complete satisfaction of every client, while offering knowledgeable and friendly service at competitive rates. Contact owner, Matt York, to get your construction project under way. Post by YORK Construction INC. – Building and Remodeling. Get Your Free Estimate Today! or call (774) 200-1889.